When Cadbury Creme Eggs start to line the shelves of the stores… I start drooling. Obsession? Yes! For me, Easter is always marked by the inordinate consumption of Cadbury Creme Eggs. And I’m pretty shameless about it. Who’s with me? 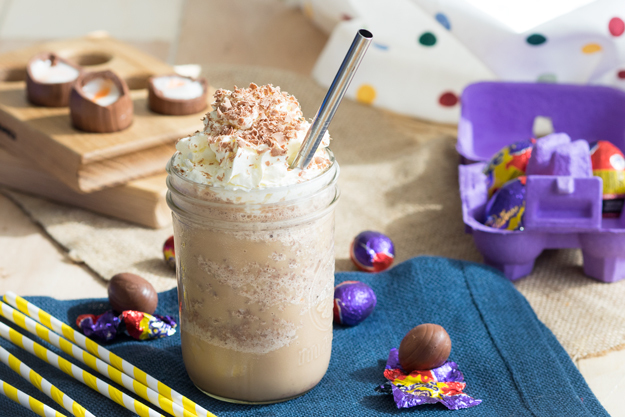 Cadbury Creme Egg season is here again – and this time, it’s time to add it into my coffee. True to form, you see all those Cadbury Creme Eggs in the photos? 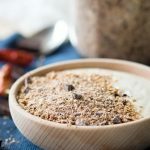 Yes, I’ll have consumed them all by the time you’ve read this post. And when they go on sale after Easter? I’ll stock up my pantry so Easter lasts a few weeks longer in this household. I don’t eat many sweets, but I make an exception for these creme eggs. One of the special treats here in the UK is a Cadbury Creme Egg McFlurry. They are as every bit delicious as it sounds. I’d have shared a copycat recipe for that, except I couldn’t get myself to eat an entire McFlurry for breakfast. As much as I tried, I couldn’t do it. BUT I could do Cadbury Creme Egg with my coffee. 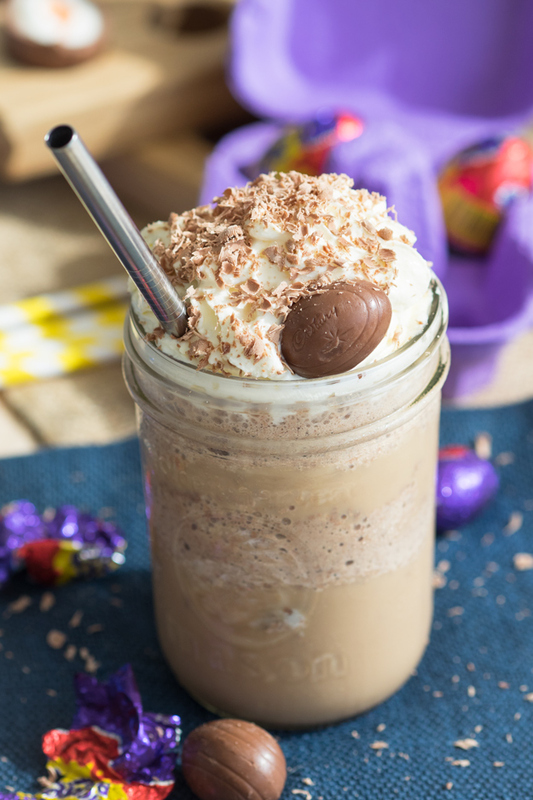 And this recipe is made with real Cadbury Creme Eggs inside. Apparently, Cadbury Creme Egg Frappuccino is a Starbucks secret menu item. 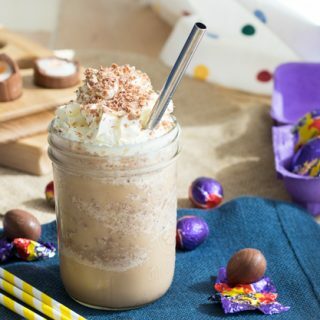 If you Google it, you can find a recipe that claims to be the Starbucks recipe for a Cadbury Creme Egg Frappuccino. 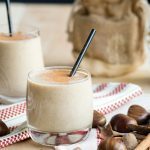 I’ve never tried it, so I’m sorry that I can’t tell you whether this particular recipe tastes like the one from Starbucks (so please note I’m not claiming this is a copycat recipe). 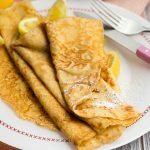 This isn’t a copycat recipe that uses flavored syrups. Instead, this recipe uses actual Cadbury Creme Eggs. The online Starbucks version uses flavored syrups to achieve the taste of the Cadbury Creme Eggs. 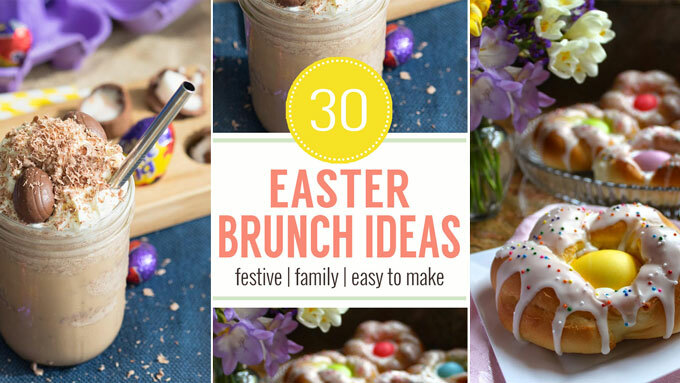 This recipe goes right to the source and use the delicious little chocolate eggs instead. 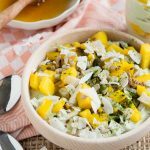 There’s nothing fancy or complicated about this recipe aside from just blending everything together for a refreshing weekend morning treat. Really though, I have to admit there is quite a bit of sugar in this recipe. It’s great for a festive and fun Easter weekend. And a special coffee once in a while. TIP: If you don’t have an espresso maker, you can easily use a cold brew coffee concentrate. 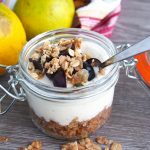 I hope you enjoy this creative easter brunch recipe! What are you going to do with all the Cadbury Creme Eggs you get from Easter? 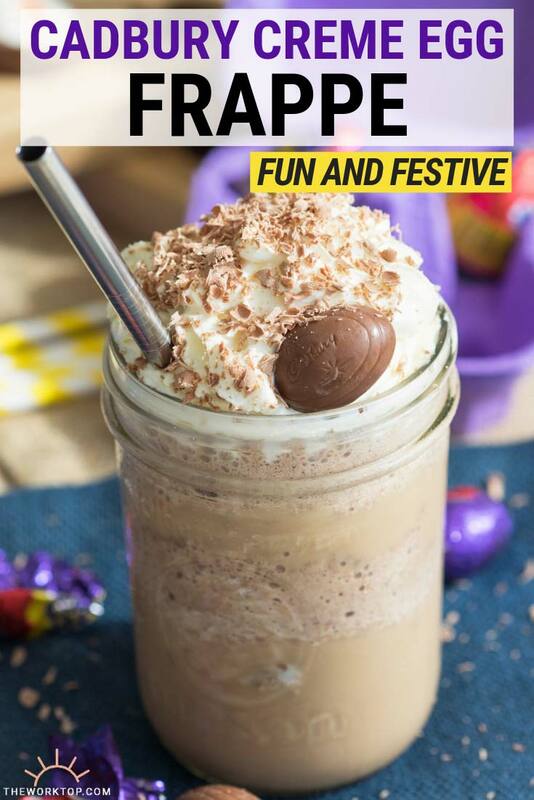 Make a Cadbury Creme Egg Frappuccino! 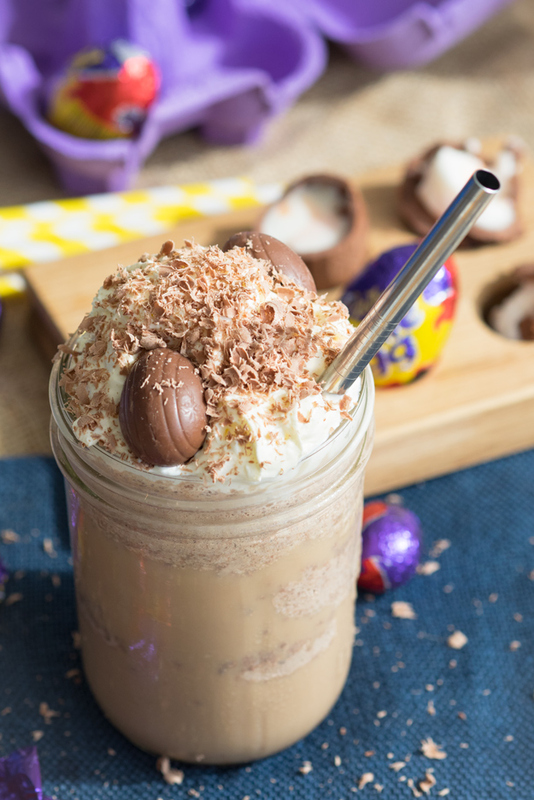 Get ready for Easter with this Cadbury Creme Egg Frappuccino! This simple recipe is a festive treat. Hopefully you won’t have to go on an egg hunt to get your Cadbury Creme Eggs. If you don’t have an espresso maker, you can also use this cold brew coffee concentrate. Coffee and dessert all in one! No two things go better! I love this! OK… so people might hate me for this, but I have never liked cadbury creme eggs. I don’t know what it is but there is just something about the cream inside that is weird to me… maybe it’s the texture? With that being said, this is a drink that I can get behind. 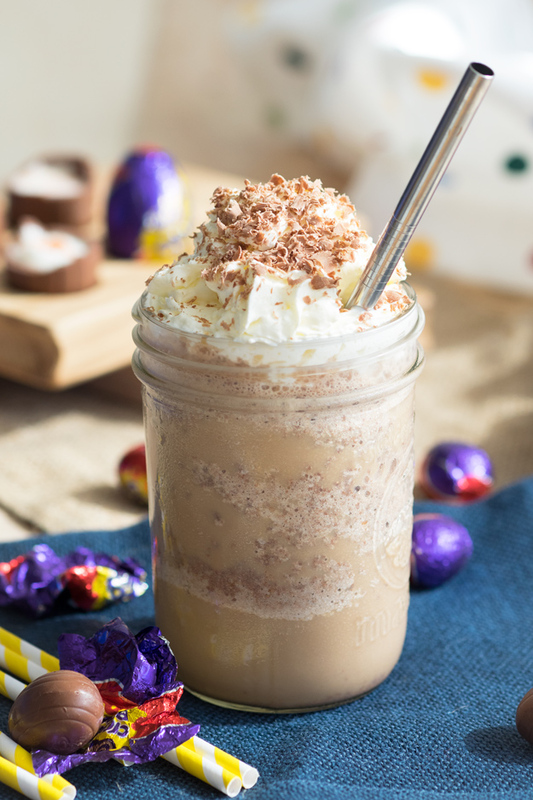 Because I love the flavor of the eggs, just not the eggs themselves, that this drink looks like it has all that delicious flavor and added espresso! Yes! Sign me up!